A great investment for small accounts with a pre-determined rate of return. While some investments require a large amount of cash, tax lien investments can provide investment options for small accounts. Here’s how it works: When a property owner does not pay his property taxes, the taxing entity will place the property up for a “tax lien sale.” An investor will pay the amount of past due taxes, and the homeowner has a pre-defined period of time to pay these taxes (and thus repay the investor) before they lose the rights to the property. The investor typically receives a pre-determined interest rate on the investment he made. If the property owner does not pay the past due taxes, then the investor can proceed with foreclosure to recoup his tax lien investment. While the likelihood of acquiring a property investing in tax lien certificates is very low, investors use this investment to earn a good pre-determined rate of return on their tax lien investment. Rules governing tax liens vary among local, county and state governments so be sure to research the municipality before tax lien investing. 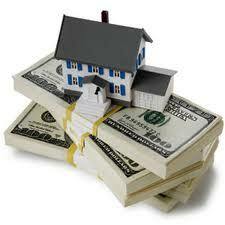 Are you interested in Tax Lien Investments? Get in touch with an STC representative today!